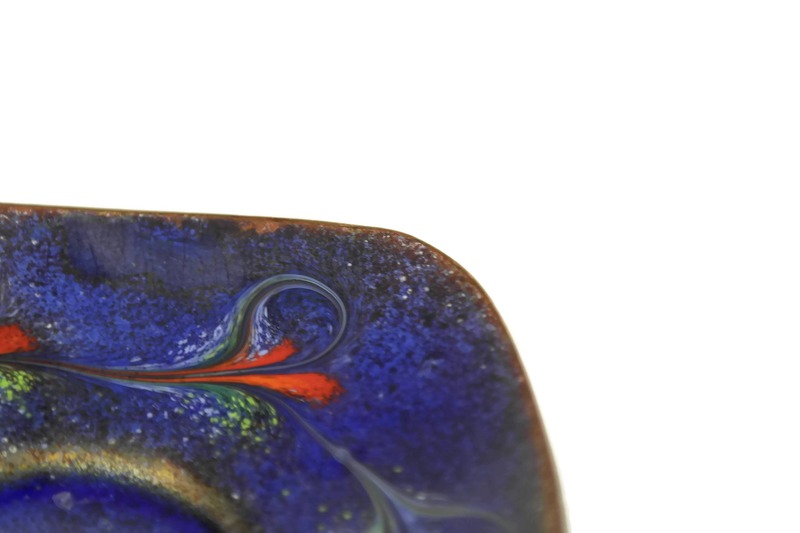 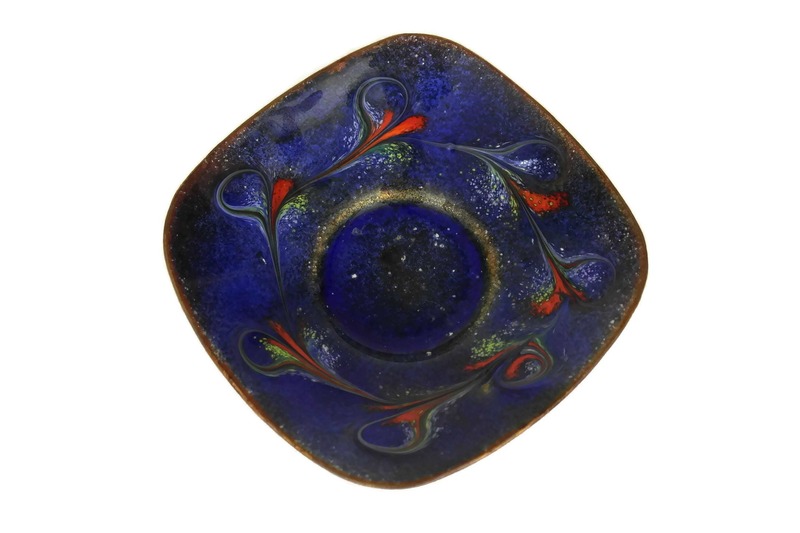 Blue Enamel on Copper Coin Dish. 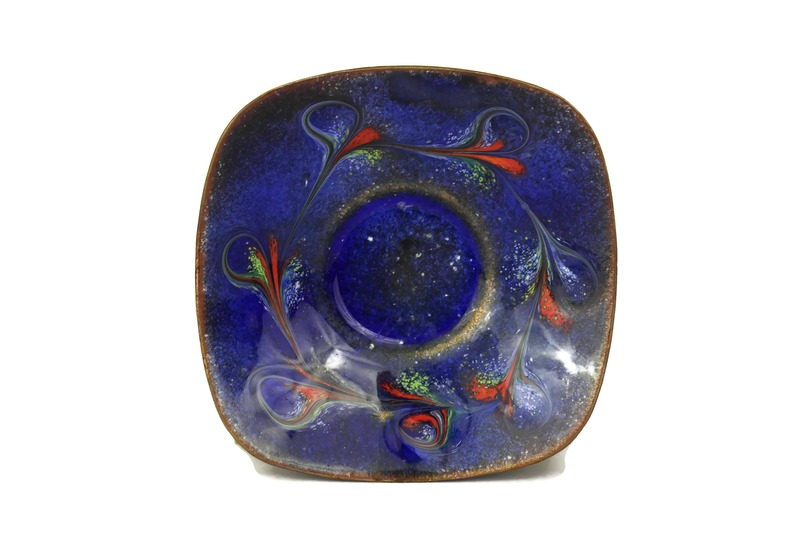 Mid Century Jewellery and Ring Bowl. 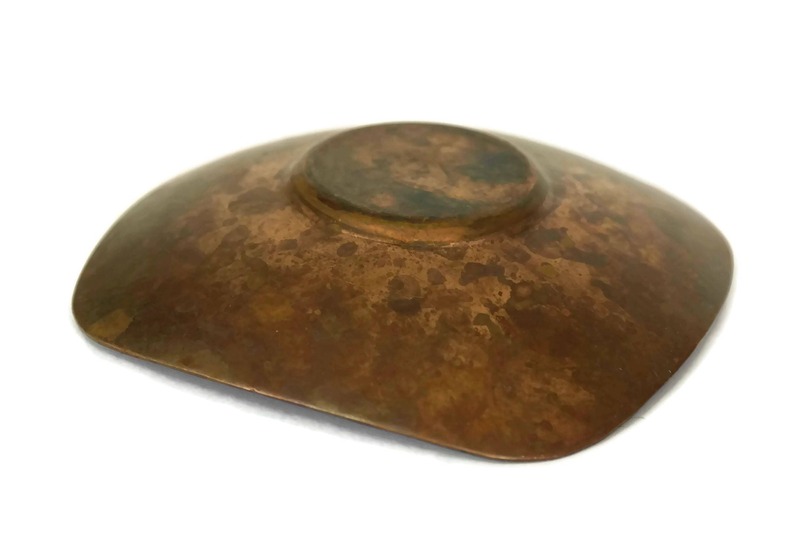 Modernist Home Decor. 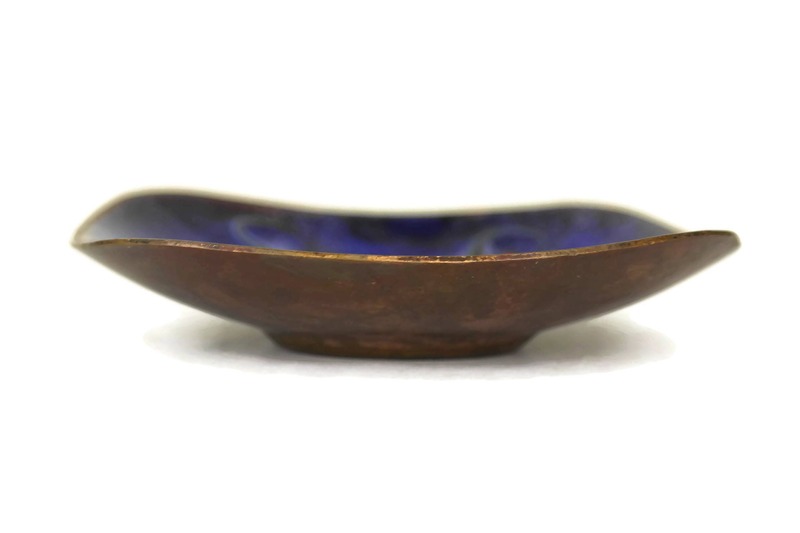 A stylish vintage copper coin dish that has been decorated in blue enamel. 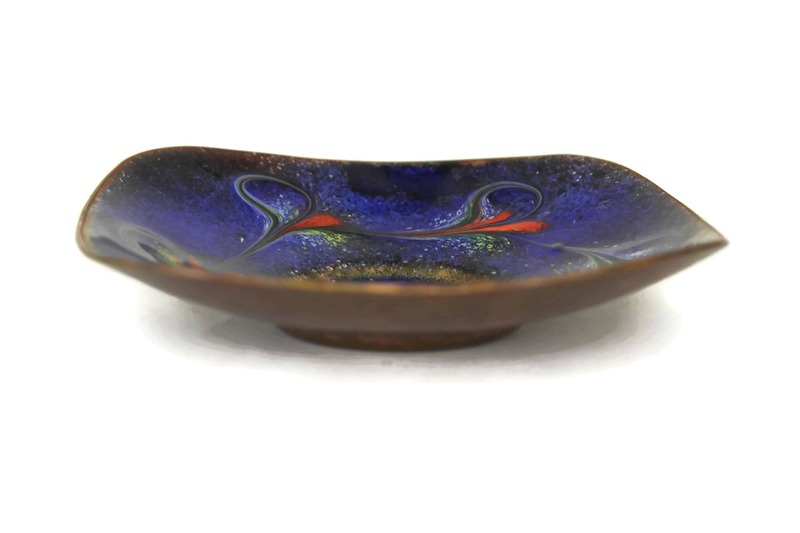 The small square shaped bowl features curved sides and raised corners. 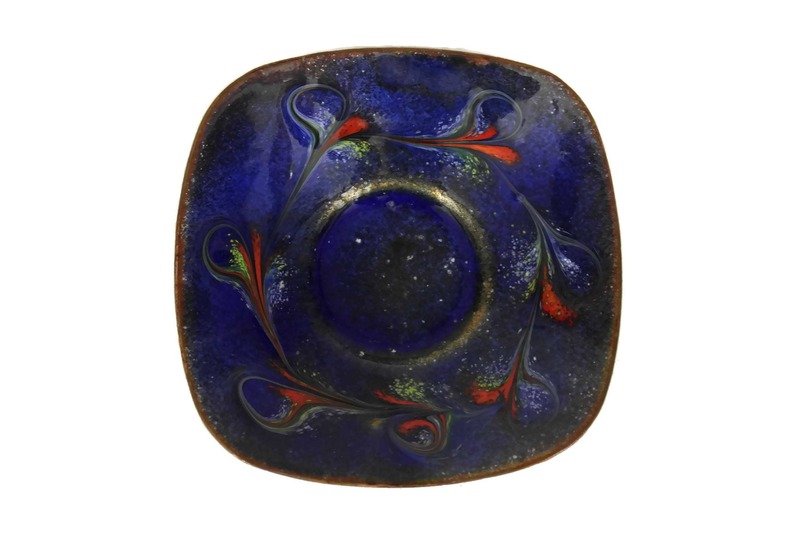 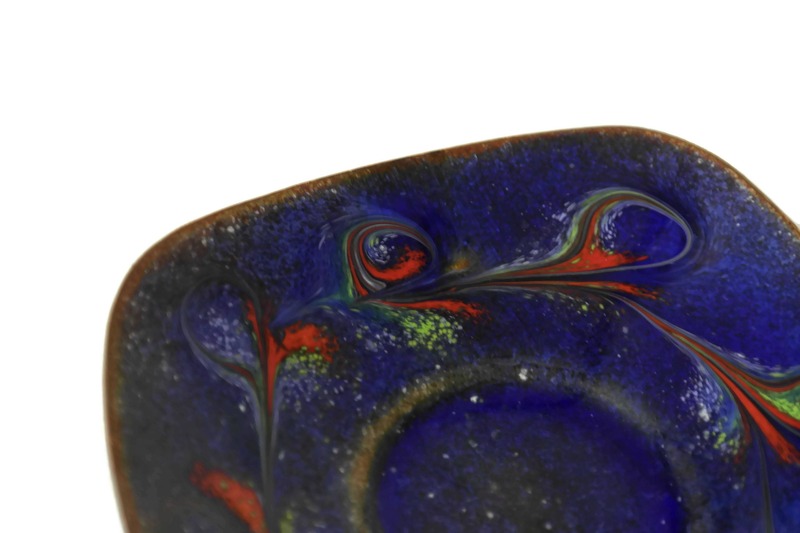 The enamel is a deep shade of cobalt blue with bright red, green and white feathered contrasts. 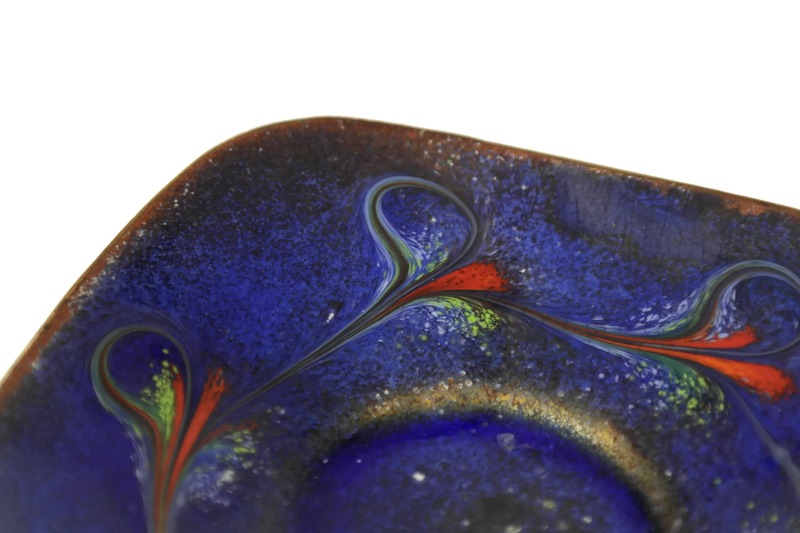 4" Wide x 1" Tall (10 cm x 2,5 cm). 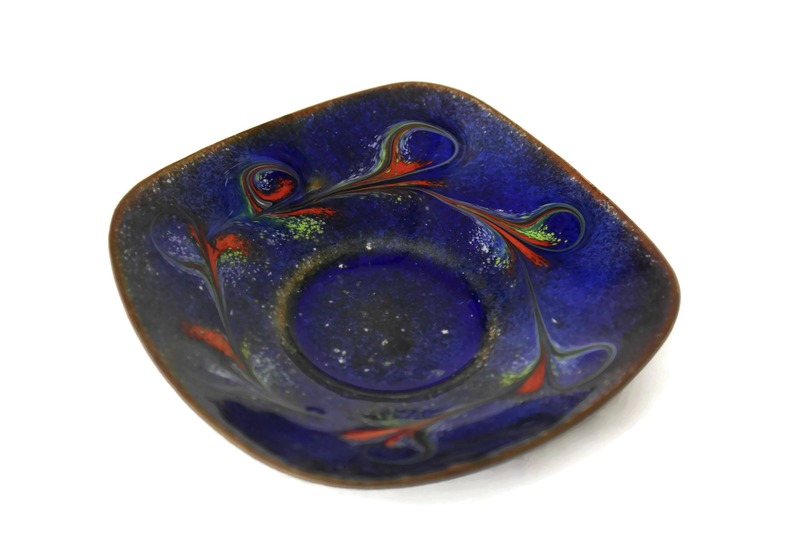 The vintage copper and enamel coin dish is in very good condition with light surface wear and patina to the copper.